A common theme for the smart home is “why not.” Why not buy a Bluetooth-equipped gas grill, or a smartphone-controlled garage door opener, or a microwave with voice control built in? So many of these gadgets are designed not with a specific universal problem in mind, but rather a narrow issue a small segment of the home-owning population may find annoying enough to spend somewhere between a hundred and a few hundred dollars to alleviate themselves of it. 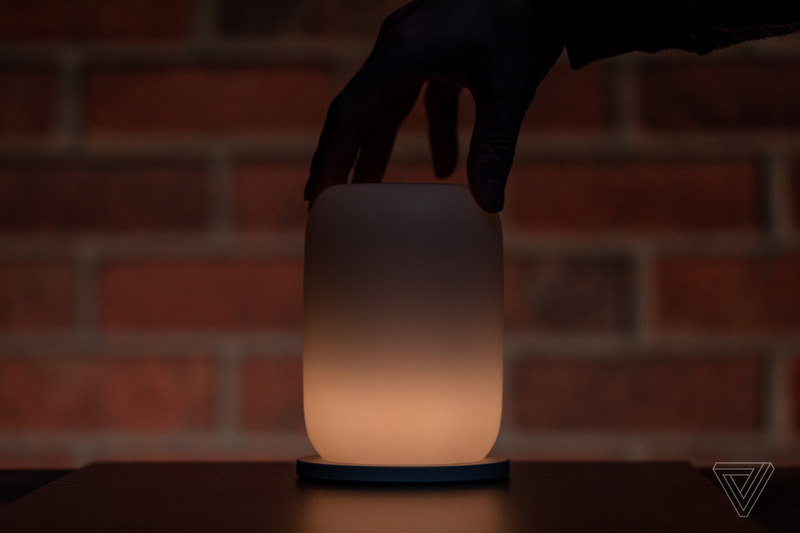 You could say the same of Casper’s new Glow light — who really needs a tiny LED cylinder with gesture controls, one that doesn’t even work with Alexa or Google Assistant? Isn’t this $89 smart light just another “why not” product? Plus, it’s from a company who’s never made a gadget before and is most known for helping lead the charge in internet mattress-selling, which doesn’t exactly inspire confidence when it comes to a smartphone-controlled home appliance. As is the case with most smart home gadgets, you can make a good argument that the answer to whether you really need this is most likely no. 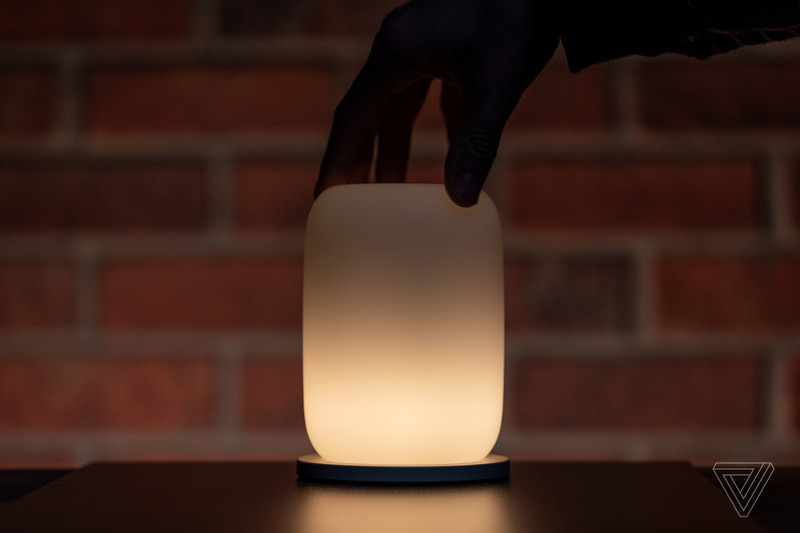 But more so than most other smart devices, the Glow appears to have been designed with a more thoughtful purpose in mind: to help you wind down at night, and then wake yourself up in the morning without the equivalent of an air horn blasting from your smartphone speakers. It may not be a universal problem, but Casper, the mattress-turned-sleep-wellness brand, is in the unique position of trying to help its owners rethink their habits and learn new behaviors. Not very many smart home companies can say the same. In my short time with the Glow so far, I’ve found that it’s driven me to put my phone face down on my bedside table at night and turn my lamp off, so I can read by the device’s warm flashlight-esque illumination. I’ve turned off my smartphone alarm, too, and now look to the Glow to get me up at my preferred wake up time by slowly getting brighter in the morning. (I’ve kept a phone alarm set for a little later than I usually get up, as a safety net.) I can’t say for how long this habit will last; maybe I’ll outgrow the Glow and go back to scrolling through Instagram before bed or watching Netflix on my iPad, awash in distracting orange lamplight. But the Glow certainly makes me feel like I’m making an effort to sleep better. So what does the Glow actually do? It’s pretty spartan and simple. The device typically sits on a wireless charging stand that stays plugged in near your bedside. From there you can flip the light from one end to the other to activate it, while rotating it on the charging stand (or any reasonably flat surface) will let you adjust the brightness. One obvious drawback is that there is no on / off switch you can control, not even through the accompanying Glow mobile app. You have to flip the device physically. But once it’s on, Casper has designed the Glow to perpetually dim itself until it turns off, with the default set to 45 minutes. You can adjust that wind down period at 15-minute intervals, down to 15 minutes in total or 60 minutes at a maximum. If you want the light to stay on indefinitely, or you’d like to pause the countdown at any point, you can press a button on the top or the bottom of the Glow. Within the app, you can adjust the overall brightness level and set a wake-up time for when you’d like the Glow to start getting brighter in the morning, with a setting option for how long you’d like it to stay lit after that. One thing the Glow does have going for it is that it’s portable and battery-powered, a rare find in the smart light market. 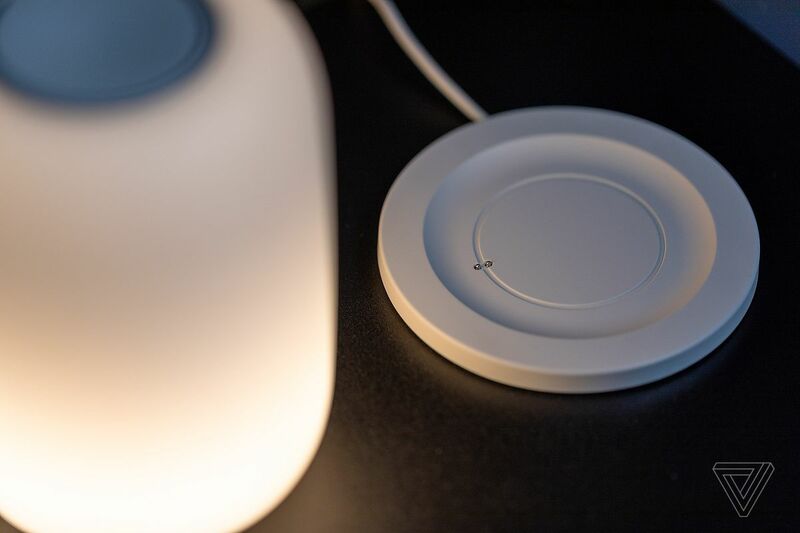 Because it charges wirelessly, you can pick up the light whenever you like and take it with you. 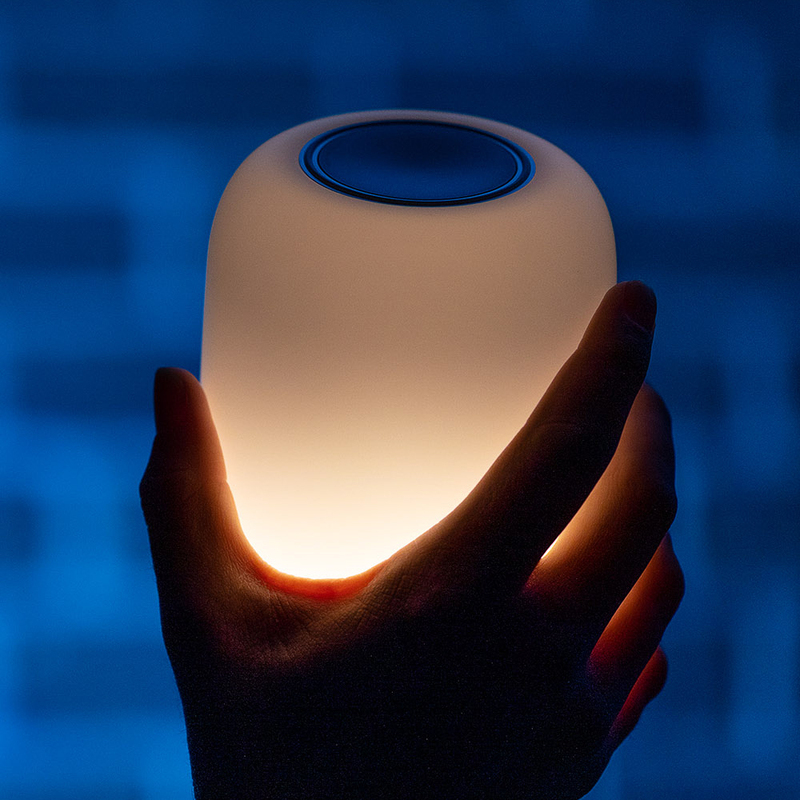 Casper imagines scenarios where you need to get up in the middle of the night for a glass of water, and you bring the Glow with you to avoid blasting your eyes with harsh light at 2AM. Alternatively, you can power the Glow down at any time so it doesn’t accidentally turn on in your bag and bring it with you on weekend camping trips or if you really want it for sleeping in a hotel when you’re traveling. While I haven’t been able to test it in such scenarios, I find the portability immensely useful for bringing the Glow around my apartment, and I have in fact used it in the middle of the night as a replacement for my phone screen and it works great. The battery life is supposed to last up to seven hours at a consistent level of brightness, the company says, and it’s designed to work for days if you’re only using it in small bursets. That’s about it, though. The Glow doesn’t have any existing smart home device integrations or voice control or anything like that. It can pair multiple units together and sync lighting options between them, but that’s about as sophisticated as it gets. It’s primarily a device that you’re supposed to use before you go to bed and when you get up. That makes its $89 price tag a bit steep, considering you can buy a Philips wake-up light for nearly half the price on Amazon. There’s also dozens of other products that double as smart alarm clocks, sunrise simulation lights, childcare-focused night lights, and even aromatherapy sleep stimulation machines. For those who’d rather just hack a wake-up light together themselves, you can buy a smart light bulb for any number of other brands that costs even less. Philips Hue products even have a built-in wake-up and night light function that lets you adjust the color temperature of the bulb, and a single one of those is as cheap as $15. Still, for Casper’s first-ever gadget, the Glow is not just serviceable, but also surprisingly well-designed, as is its stripped-down mobile app. Yes, the device is expensive. And yes, it may be not actually help you sleep better at night — for serious sleep inflictions, you’d probably want to talk to a doctor, or perhaps purchase a better mattress. But for what it’s designed to do, the Glow has been a pleasant bedside device that I don’t see myself getting tired of using any time soon.